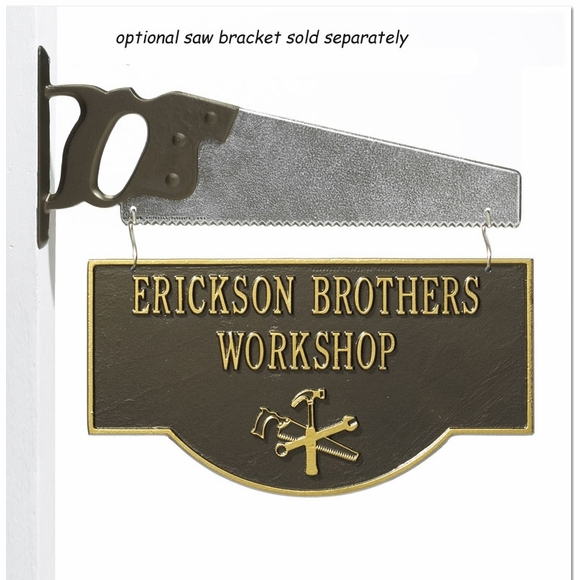 Personalized Hanging Workshop Plaque - - 2 sided sign with hammer, saw, and wrench is an attractive way to identify your workshop or carpentry business. The same personalized text appears on both sides of the sign. Optional saw bracket is sold separately (click top link in Related Products) or hang from your own bracket.